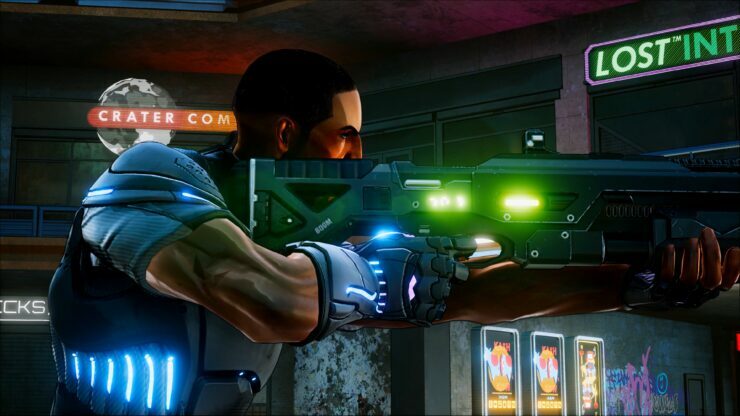 Sumo Digital’s Design Director Clint Bundrick was interviewed by GameReactor at E3 2017 and during the chat, he was asked why Crackdown 3 seemingly took a long time to develop. A game like this is just incredibly ambitious. The campaign world is twice the size of the city in the original Crackdown, and not only in terms of footprint – the tallest building is also twice as tall as the tallest building in the original game. So it’s a super ambitious game for the campaign and then an incredibly ambitious game for the competitive multiplayer mode. This is a franchise that deserved to come back right and we wanted to take our time to do it right. Crackdown 3 didn’t lose the focus on crazy movement. Bundrick said that players will have new moves at their disposal to navigate the world and react to combat situations. Crackdown has always been a game about a verticality, a bit of a vertical platformer, and it’s still very much about that. We’ve added some stuff like the double jump and the airburst, so now players can combine those moves and make this long, crazy jumps that not even we are anticipating. Players can also use that in combat: you could be in the middle of a big jump and if somebody fires a rocket at you, you can airburst to dodge it. It gives the player way more choice and in the moment to moment makes the jumping a lot more fun. Sumo Digital has been vocal about Xbox One X being far more powerful than the PlayStation 4 Pro, as per our previous report. The game will run at native 4K and 30 frames per second on the new system and it will also have support for High Dynamic Range (HDR) and Dolby Atmos. Crackdown 3 is due for Xbox One and PC on November 7th, launching the very same day as the Xbox One X console. You may check out a newly published ten-minute long open world campaign gameplay video below.